Veterans Memorial Park | How Goes the Battle? Last week was the anniversary of my dad’s death. 3 years have passed since I last saw him. I can still hear his voice and how he always answered the phone, “Hi, Hon” whenever I called; his number is still saved on my cell phone. I haven’t been to his grave site since his funeral service and don’t think I will for the foreseeable future. 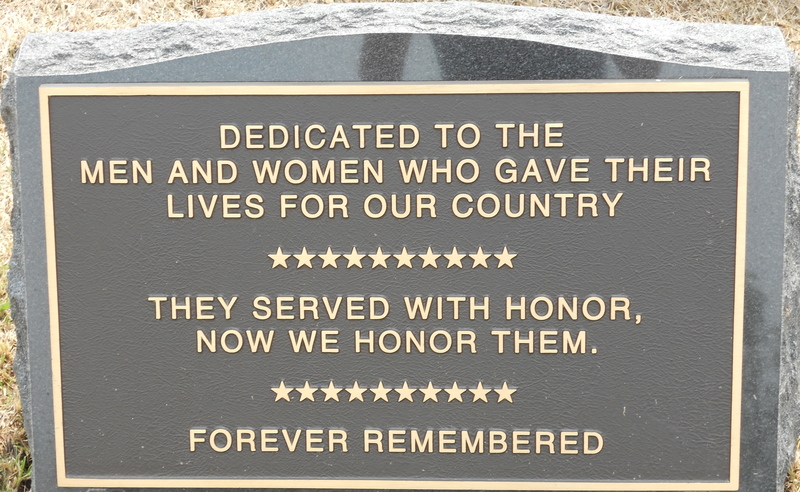 I did visit the Veteran’s Memorial Park last week where he has a plaque engraved with his rank of Sergeant and the medals he was most proud of-three Bronze Stars: 2 awarded by the U.S. government and 1 by the Vietnam government. The park isn’t complete but what they have so far is lovely. 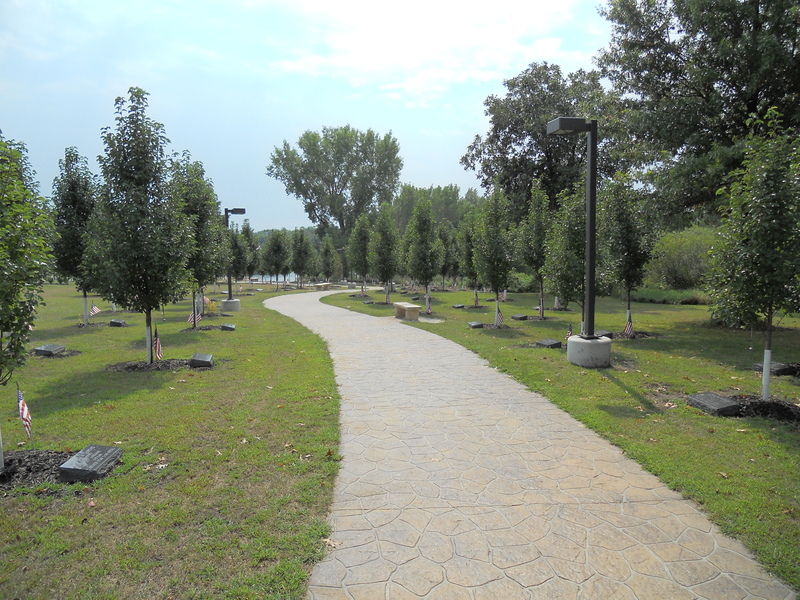 The photo above shows some plaques along the walkway, a tree was planted next to each plaque and on each tree is a bell-the sound is beautiful and quite haunting on a windy day. 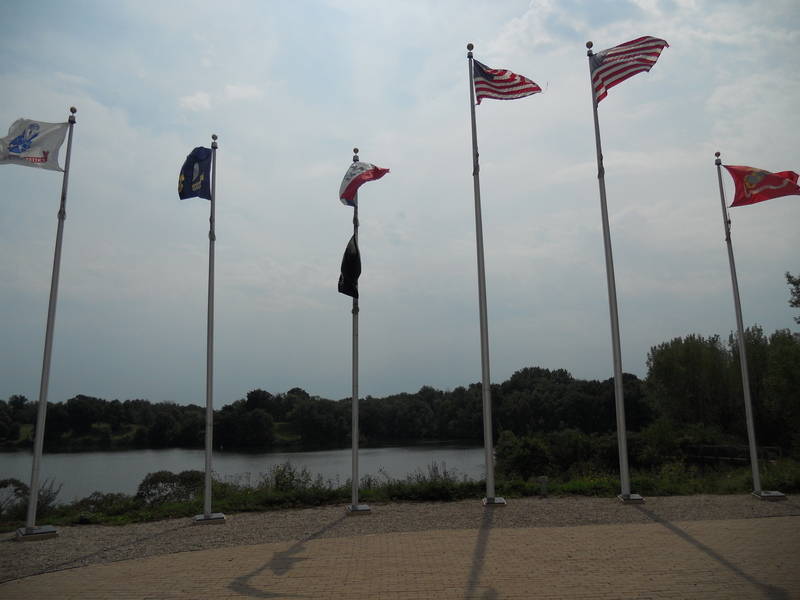 The middle photo shows the flags flying and a partial view of the lake-a tranquil spot perfect for reflection.The bottom photo shows the reason for the park, I guess in case someone was unsure. I do this blog to honor you dad, your memory and your service. Your dad would be proud, he loved his country and he loved you.